The evacuation of intentionality from the musical work is clearly one of the key preoccupations of sound art and experimental music since John Cage. Alongside techniques for deriving the contents of a musical work from operations of chance and the introduction of indeterminate elements into the realization of a work, there is also the possibility of complicating the composer’s relation to the work through the derivation of its contents from pre-existing non-musical phenomena. One thinks of Cage’s tracing of star-charts onto musical staves in Atlas Eclipticalis (1961), or of how the outlines of rocks become glissandi in his Ryoanji (1983-5), but also of the tracing of the generic forms of households objects and letters in sound by Alvin Lucier in works such as Still Lives (1995) and Letters (1992). The use of human language as a material to generate musical works in this way has been explored by numerous figures. Gerhard RÃ¼hm in his major series of ton-dichtungen (tone-poems) of the 1980s, such as das leben chopins (The Life of Chopin, 1981-2), invented a system in which a written text is represented musically through the (more or less arbitrary) assignation of a musical tone to each letter of the alphabet, each syllable being represented as a chord made up of the tones corresponding to its constituent letters. In Valenza’s Phonologies, a generic love-letter was translated into a number of languages, then read and recorded by native speakers. These recordings were then subjected to spectral analysis and transformed into musical scores by a computer program. These scores served as the groundwork from which the instrumental parts heard in the exhibition were developed. The body of work that comes closest to Valenza’s in its formal conception is that of Peter Ablinger. Many of his works for player piano and piano derive from spectral analysis of recordings of the voices of public figures (Schoenberg, Mao, Heidegger, Billie Holiday), which are then transcribed musically; the resultant musical works possess an eerie quality, as if the piano were trying to make itself understood.1 However, Ablinger’s work is fundamentally engaged with the experience of one individual’s phonic singularity, their unique tonal and articulatory patterns; Valenza’s piece, on the other hand, is oriented towards both the generic and the multiple. Indeed, the towers of speakers simultaneously emitting the dissonant cacophony of multiple instrument-languages cannot help but call to mind the biblical tower of Babel (even if, strictly speaking, God’s ‘confounding’ of the single original language which brings about the multiplicity of historical languages only occurs as a punishment inflicted on the human race precisely for building this tower, in order that they may not be proudly deceived into thinking that ‘nothing will be restrained from them’ (2). In Valenza’s statements on the work, she makes mention of Benjamin’s theories of translation, central to which is the idea that translation’s true purpose is to realize the ‘inner kinship’ of all languages in a language beyond any content or instrumental use, a ‘pure language’.3 Hearing the clashing instrumental voices of Phonologies, in which the meaning of what each voice ‘says’ is known to us but not actually experienced as a meaningful communication, becomes a sort of liminal experience of this ‘inner kinship’ of natural languages. In his interpretation of the biblical myth of Babel, Dante wrote that the multiple human languages are ‘nothing other than the forgetting of the previous language’ and are thus marked, even if only negatively, by their lost unity:4 it is this melancholy approach to the question of universality, in which it is only approachable through an immersion in the very phenomena that deny its possibility, that lies under the bubbling surface of Valenza’s Phonologies. 1. 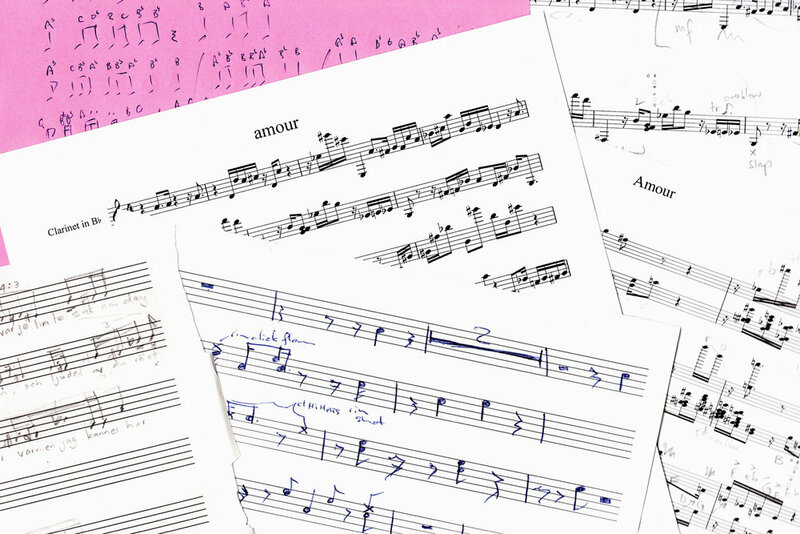 On these works, see Michael Pisaro, ‘Writing, Music’ in The Ashgate Research Companion to Experimental Music, ed. James Saunders (Burlington: Ashgate, 2009), pp. 71-73. 2. See Genesis 11: 6. 3. See Walter Benjamin, ‘The Task of the Translator’ (1921) in Selected Writings, ed. Marcus Bullock, Howard Eiland and Michael Jennings, 4 volumes, (London: Harvard University Press, 1996-2003), vol. 1, pp. 253-263. 4. Cited in Daniel Heller-Roazen, Echolalias: On the Forgetting of Language (New York: Zone Books, 2004), p. 224.